Most craft and art stores carry blank packets of Artist Trading Cards. It’s your job to fill these tiny canvases with something amazing. Comics on the Brain has written before about its enjoyment of the whole ATC art movement — where artists create little masterpieces on paper the size of a baseball card and then either trade or sell them with other artists and fans. Well, we still love making them and later today the CotB staff is heading out to an ATC workshop where we’re hoping a bunch of other artists will be creating their own. As for us? Well, we’ll be sticking to cartoon-style versions of fiction’s finest! 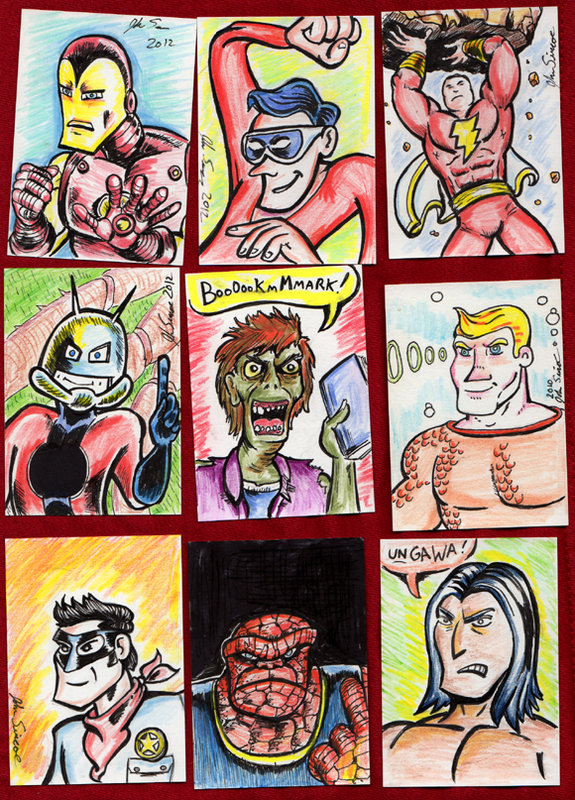 From the Lone Ranger to a zombie bookmark, we’re having a lot of fun with our ATCs. We hope to see some of yours!